Getting cashback or a great discount on top products is like an icing on a cake. Everyone loves discounts. When it comes to online shopping, the internet gives you access to 100s of websites that provide cash back on shopping. If you’re an Android or iPhone user, you may have come across the free iBotta app. iBotta offers $10 bonus to the users when they simply download and install the app. You can use the free credit to buy stuff worth $10. You can also use the credit to obtain a good discount on the bill. iBotta is a great app. It displays a list of items you can buy. Along with the items, iBottta shows the discount you can get on the products. 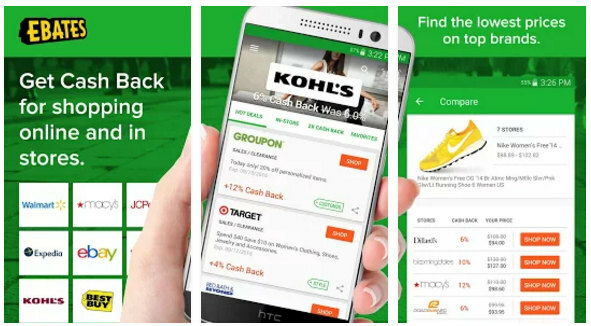 Ebates is a coupon app that provides good discounts on various products. It offers up to 40% discounts on over 500 products across 2000 stores. Once you have earned a good amount of cashback, the management team at Ebates will mail you a check which you can deposit at your bank. The UI of the Ebates application is simple and easy to use. The application displays a list of stores that are running cashback offers. At the top of the list, you’ll find the best offers. To earn rewards, tap the shop name, explore the category of products and buy items you like. You can bookmark shops in Ebates. Option to find offers in stores near you. Category filter to find products quickly. Checkout 51 is one of the most downloaded apps on our list. 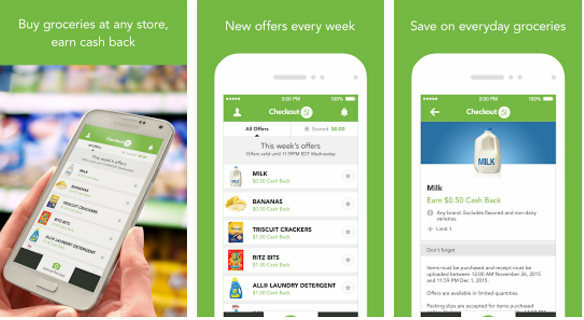 It lets users earn cash back on grocery items such as Milk, Yoghurt, Laundry detergent, etc. The list of cashback offers is updated every week. The app doesn’t hinder you from exploring items listed by the stores that are not in your vicinity. Once you order the product, the seller will deliver it to your doorstep. Checkout 51 sends users a check via mail when they’ve earned minimum cash back of $20. The app is not a scam. It sells genuine products and has real cashback offers. 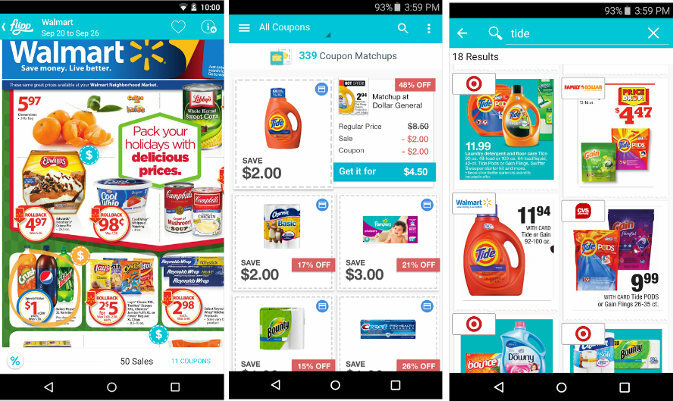 Flipp is a popular coupon app that provides excellent features. It makes online shopping easier by providing a filter tool through which you can find coupons by brand, category, or name. The app supports loyalty cards. 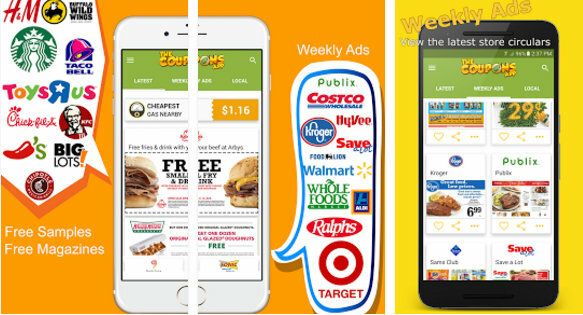 It allows users to clip coupons and enjoy discounts during the checkout process. Flipp is a must-have app for the users that don’t want to waste time in online shopping. The application displays the best deals and offers on its main interface so that you can shortlist items and complete the transaction quickly. TCA is an iBotta like app for finding great cash back offers. Over a million users in the US use it on regular basis. The app enables you to find deals at top restaurants, gas stations, and shops. It lets you find the cheapest gas stations in your city. TCA supports Android push notifications. Hence, it will make you aware of fresh deals whenever the seller reveals them. TCA lets users compare the prices of their favorite items. It ships with a QR code scanner utility. It allows you to earn cash back when you shop at popular superstores, drugstores, grocery shops, etc. Conclusion: The above four coupon apps like iBotta offer unbelievable discounts and cash backs on all types of products. Use them if you’re searching for alternatives to iBotta.